There is huge global potential for northern services and products in the field of education export. The multisectoral offering of the Finnish education system and various other fields creating high quality learning environments are widely valued. The products supporting learning include e.g. learning materials, educational games, software products, school buildings and infrastructure, educational concepts and consulting services. Today, these services are offered by companies, schools as well as other organizations. Besides knowledge and expertise in marketing and sales, entering the global markets also requires strong networking skills. Oulu University of Applied Sciences, in cooperation with Oulu University, Diaconia University of Applied Sciences , Oulu Vocational College and City of Oulu started a project building a network supporting the growth and internationalization of education export in Northern Ostrobothnia. PINO Network is part of the European Regional Development Fund (ERDF) funded KAAKAO and KOOKOS projects financed by the Council of Oulu Region, and the European Social Fund (ESF) funded KAHVI project financed by Centre for Economic Development, Transport and the Environment. PINO Network is an affiliate member of Worlddidac association. Worldidac is “where education comes together” - the global trade association for the educational resources industry. Worlddiac works equally with all education sectors, all countries and all relevant national associations to create international sales opportunities for our members. 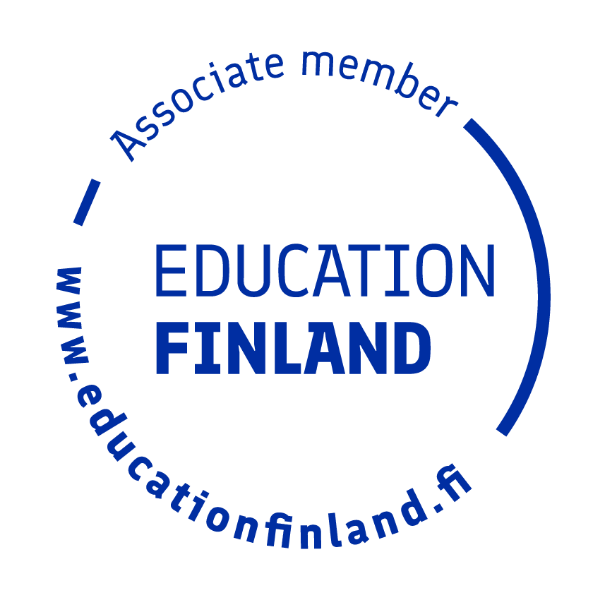 PINO Network is an affiliate member of Education Finland. Education Finland – supports businesses, higher education institutions and other education and training providers in expanding in the international market.